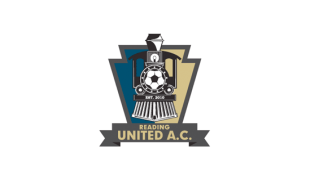 The 2016 schedule for Reading United AC, Philadelphia Union’s Premier Development League partner, was announced on Tuesday. Reading begins the 14-game season with two road games, opening the season against Lehigh Valley United on May 14, before its home opener at Don Thomas Stadium on May 28 against New York Red Bulls U-23s. Reading faces longtime rival Ocean City Nor’easters at home on June 4 and on the road on June 25. To view the complete 2016 PDL season schedule, featuring 67 teams over four conferences –including the schedules for Lehigh Valley United and Ocean City Nor’easters — click here. Does anyone know what the status of Lehigh Valley United Sonic is in regards to the Union? Reading obviously has been the Union’s PDL affiliate for a while and they’re way more successful that LVU Sonic, who won the NPSL before struggling upon their “promotion” to the PDL. The Union thanked LVU Sonic, and possibly even mentioned a partnership if I recall correctly, when they announced Bethlehem Steel. Considering their proximity to BSFC, some type of connection makes sense, but Reading United probably wouldn’t be thrilled about this. Thus my question: Does Reading United remain the sole PDL affiliate or will LVU Sonic become part of the Union family? Just curious, thanks. Wouldn’t be even cooler if Lehigh Valley United decided to fund its own MLS team….oh wait… there can’t be any Leicester City’s in MLS. or even more to the detriment of the league and US Soccer there can’t be any Jamie Vardy. I know you’re pushing for the pro/rel model, but you could argue that MLS is built to allow for the Leicesters of the world with their playoff model. And you could even argue that the Cascadia cities are comparable to Leicester based on population correlates to other MLS clubs (i.e. Leicester’s population is to Manchester what Cascadian cities are to Dallas, etc.). I don’t see why LVU couldn’t be an affiliate with Bethlehem Steel without harming United’s or the Union’s relationship. In theory Reading United is a way for Union academy players who go to college stay sharp and “in the system” until they’re ready to make the homegrown jump to the Union, but in practice it hasn’t been utilized yet, for various reasons. In fact, in the case of Rosenberry, it apparently didn’t even matter that he “stayed in the system” since MLS deemed it wasn’t enough time. But that’s a discussion for another day. Adding LVU to the family would double the prospect pool and scouting area, and could give Steel a U-23 team for players who they want to keep warm but aren’t quite ready yet. The Phillies have several A class teams for various reasons, I don’t see why the Union can’t either. I agree completely, I guess it might depend on how LVU want to operate. Can the Union have two PDL teams? Would LVU be okay with leaving the PDL to Reading and going back to the NPSL or some other route? I think a partnership makes all the sense in the world, I just don’t know if MLS allows for this model yet (i.e. with multiple affiliates at the same level), hence my initial question.